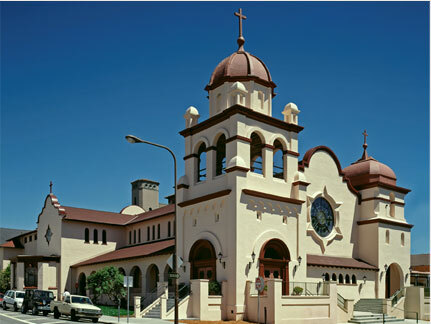 This Mission Revival Church underwent a complete exterior and interior restoration and seismic upgrade. The main entrance to the Church, formerly hidden behind a forbidding concrete structure added in the 1960's, was restored with a series of gentle staircases to provide a more open and inviting entry. The Parish House received a seismic upgrade and was renovated to provide enhanced office and meeting spaces. The second floor Parish Hall was made fully accessible via a new entrance and elevator.